Facebook on Thursday unveiled a new design that gives music its own dedicated newsfeed tab, one that appears to give bands and music marketers more real estate on the social network to broadcast their messages to fans. Facebook Chief Executive Mark Zuckerberg, during a news conference in California to announce the new look, called it “the best personalized newspaper” available. The move reflects Facebook’s latest attempt to organize the flood of posts that course through its network, separating wheat from chaff and serving up updates that people are most likely to find valuable. The overhaul reflects Facebook’s latest effort to balance its users’ need for interesting, personalized updates with the need for companies to connect with customers. Last year, the Silicon Valley social network changed its newsfeed algorithm to push down posts from pages that had negative feedback from users, while elevating posts that experienced higher-than-average engagement, such as sharing or commenting. 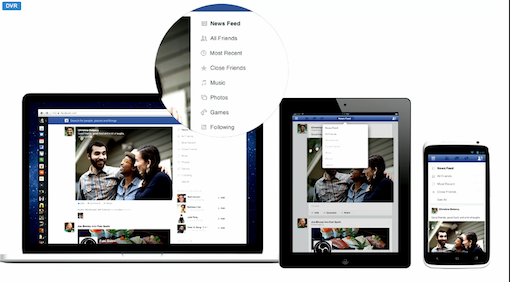 The goal, Facebook said, was to make its newsfeed more relevant and less “spammy” to its users. The changes, however, prompted outcry from businesses and brands that use Facebook and saw a decline in their reach -- highlighting Facebook’s difficulty in having to create an optimal experience for its users while also giving companies a valuable venue to do marketing. This redesign, which creates a new tab for companies and brands under “Following” and for bands and musicians under “Music,” gives marketers a bigger canvas. At the same time, users can also personalize their feeds to include only the topics they care about. Feeds from personal friends can also be separated from other posts. “People will get more choice and control over what they’re seeing,” Struhar said. Not everyone using Facebook will see the changes right away. The company said it will be "slowly and carefully" rolling out the new design over the next few weeks and months -- first on browsers and later on mobile devices. Intrepid early adopters can sign up with Facebook to be among the first.